The self styled Bronzed Adonis, winner of 2003 sadly non existent Six hitting award, moved up the food chain in 2004, turning down a lucrative record contact from Simon Cowell and stepping into the Captain's spot. However, despite a good start to the season the promotion caused a dip in form of Trescothick-like proportions. Alex selflessly made time to include a brilliant 4 ducks, including 2 in a row. Just as Rigiani started to worry about his chances of winning this seasons Duck Award, and just when it seemed Alex would do the unthinkable and nullify his own Band A contract, he started putting the new MRF to some use and recovered from this bad patch towards the end of the season to find his best, most notably thrashing a superlative 84 against East Tytherley II. The noble captain was also excelled in the field, often hovering inches from the bat and producing some of the best reflex catches and most extravagant dives of the season at his new favoured postiton, Far Too Far Forward Short Leg. The Skip has also perfected "The Aeroplane" celebration technique, including multiple laps of the wicket, cleverly evading any other Idlers trying to congratulate him. Alex holds the catches in a season record with 9 in 2002. 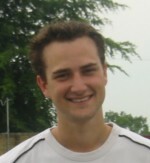 Due to travelling Alex lost his captaincy for 2005 but his form with the bat returned. After two relatively barron years as skipper he pushed it back up to around to 30 mark. Click here for a run down of all Alex Ince's stats by season.